Did you miss Wednesday’s game? 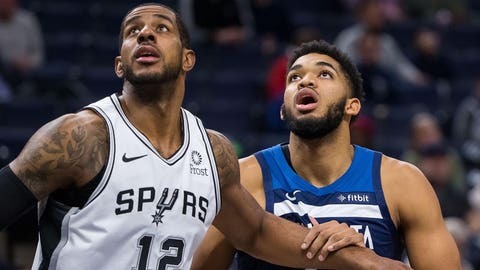 Catch up on all the best highlights and interviews from the Minnesota Timberwolves‘ 128-89 win over San Antonio. And, man, there were plenty. The @Timberwolves beat the Spurs by 39 points tonight.